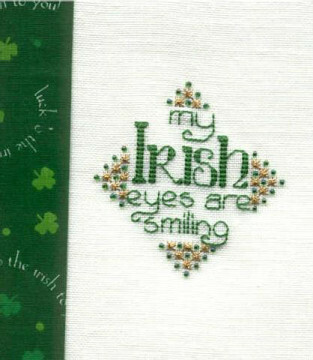 Irish Eyes WilmaBC Made into a pillow for my neighbor, Irish. 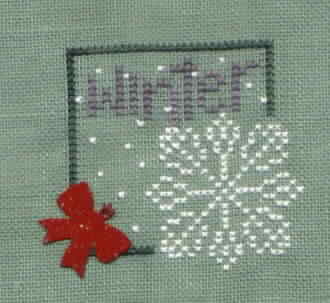 The green border is the material I used. Land That I Love BrendaH Stitched on 28 count hand-dyed Faded Blue linen, using hand-dyed threads from The Dye Is Cast. 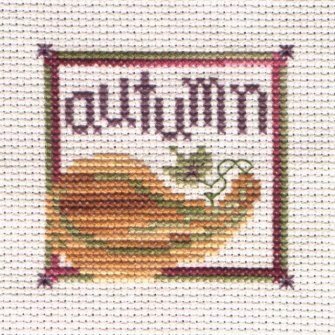 Noel Neris I stitched it on ivory Aida but I changed the colours to DMC threads as it is difficult to find the proper threads here in Italy. 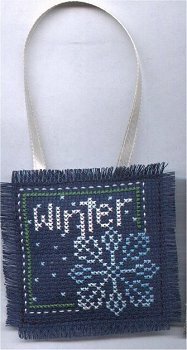 I stitched it vertically as a sort of bellpull. 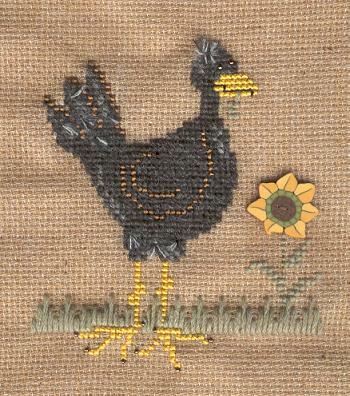 Old Crow staciestitches Stitched on 10 count Natural Heatherfield. 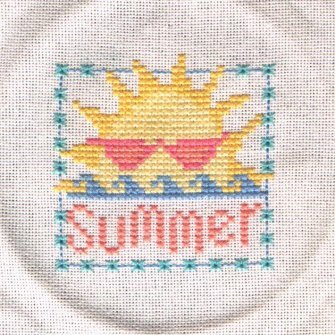 I used Rainbow gallery fibers. 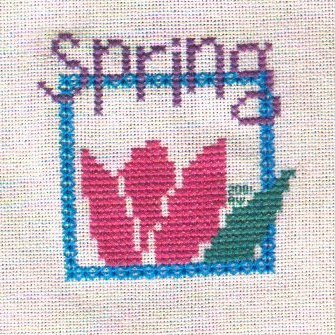 Spring has Sprung Sue T I stitched it on 28ct white evenweave. 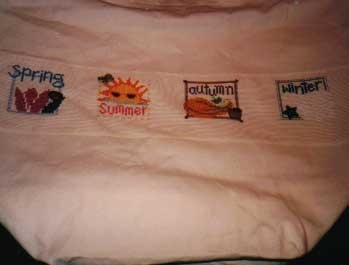 The letters were stitched in Gloriana silk, colour: Laura's Garden. 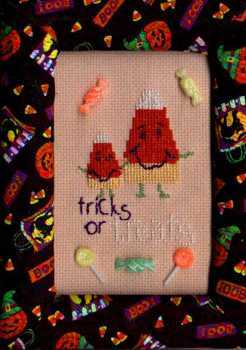 The rest was stitched in DMC. I mounted it in an off-the-shelf frame from Michaels, no glass, with a bit of batting for padding. Winter Square MiC I added a winter tree. It's stitched on a red sweater. Wooly Winter Mittens Brenda K Made into a pillow. This is a xmas gift for a friend who loves mittens.